Calgary-based TransCanada Corp. plans to move forward with its proposed Energy East Pipeline project. It is expected to displace a significant amount of the 700,000 barrels of oil a day currently imported into New Brunswick and Quebec. The company said in a news release it received "strong market support" during its open season process, during which interested producers were asked to make binding commitments for space on the pipeline. "We are very pleased with the outcome of the open season for the Energy East Pipeline held earlier this year and are excited to move forward with a major project that will bring many benefits across Canada," Russ Girling, TransCanada's president and chief executive officer, said in a news release on Thursday. "This is an historic opportunity to connect the oil resources of Western Canada to the consumers of Eastern Canada, creating jobs, tax revenue and energy security for all Canadians for decades to come." The pipeline project is expected to cost $12 billion, excluding the transfer value of Canadian Mainline natural gas assets, according to the company. TransCanada is proposing to convert roughly 3,000 kilometres of natural gas pipeline on its existing Canadian Mainline route so it can carry crude oil. The company would also construct 1,400 kilometres of new pipeline to carry crude oil into Saint John, where it will end at the Canaport LNG terminal. The Irving Oil Ltd. refinery in Saint John is the largest in Canada and can process 300,000 barrels of oil per day. Saint John also has a deep-water port and a liquefied natural gas facility. TransCanada and Irving Oil Ltd. have also formed a joint venture to build and operate a new $300-million deep water marine terminal, according to the corporate statement. "The Canaport Energy East Marine Terminal will connect TransCanada’s Energy East Pipeline to an ice-free, deep water port," said Paul Browning, the president and chief executive officer of Irving Oil. "It will allow Canadian producers direct access to world markets for exporting Canadian oil via the world’s largest crude carrying vessels." Irving Oil chairman Arthur Irving called the project a game-changer. "We believed in it, we were successful and we did it with you. Thank you very much," he said during a news conference at the Saint John refinery on Thursday. Design work on the marine terminal, which will be located adjacent to Irving Oil's existing import terminal, is expected to begin in 2015. Irving Oil says the terminal's construction will create "hundreds of jobs" and the facility will employ up to 50 people once it is finished. TransCanada said it would start seeking regulatory approvals on the pipeline in 2014 and the oil could start flowing to Eastern Canada by late 2017. New Brunswick Premier David Alward and Alberta Premier Alison Redford have been outspoken advocates for the pipeline. Redford said in a statement on Thursday morning the pipeline project will create co-operation among provinces to get Canadian oil into international markets. "This is truly a nation-building project that will diversify our economy and create new jobs here in Alberta and across the country," Redford said in a statement. New Brunswick’s premier also used the pipeline company’s announcement to talk about the importance of provincial co-operation. "This is a game-changer and a historic moment for our province as well as our friends and partners from coast to coast to coast," Alward said in a statement. "Together, we are seizing an unprecedented opportunity to create jobs for our workers, build a stronger economic foundation for communities, and fund the education, health care and social programs that families deserve." Federal Natural Resources Minister Joe Oliver has said the pipeline is in the national interest. The company said it would start seeking regulatory approvals on the pipeline in 2014, and the oil could start flowing to Eastern Canada by late 2017 in Quebec and 2018 in New Brunswick. The National Energy Board is responsible for approving pipelines. Despite TransCanada’s push to move forward with the eastern pipeline, the company’s president said others, such as the Keystone XL pipeline, are needed. "Energy East is one solution for transporting crude oil but the industry also requires additional pipelines such as Keystone XL to transport growing supplies of Canadian and U.S. crude oil to existing North American markets," Girling said in a statement. "Both pipelines are required to meet the need for safe and reliable pipeline infrastructure and are underpinned with binding, long-term agreements." Keystone XL would carry millions of barrels of oilsands bitumen a week through six U.S. states to Gulf Coast refineries. The Keystone pipeline proposal has been met by political and environmental opposition in the United States. Sierra Club Canada issued a statement on Thursday, saying the west-east pipeline is "not in the best interest of Maritimers." "Over the past year we have heard countless stories of pipelines leaking around North America," said the director of the environmental group's Atlantic chapter, Gretchen Fitzgerald. 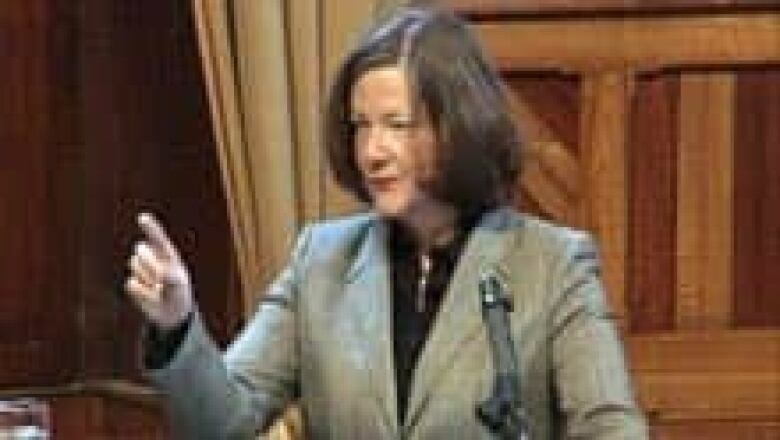 "It is not a question of whether the Energy East pipeline would leak but when and where," she said. Given the amount of oil being transported, a leak would result in millions of litres of "toxic and corrosive" crude oil being spilled into the environment, according to the organization. Matthew Abbot, of New Brunswick's Conservation Council, said any spill in the Bay of Fundy would spread at a faster rate than in other ecosystems because of the strong tides. "This would have devastating consequences for all of the Maritime provinces," Abbot said in the statement. "Our livelihoods depend on our marine ecosystems." But the federal natural resources minister said the pipeline will only move forward after "an independent, science-based environmental and regulatory review. "With our plan for responsible resources development, we have increased the protection of the environment, streamlined regulatory reviews and are aggressively working to reach new markets for Canadian natural resources," Oliver said in a statement. "Subject to regulatory approval, the Harper government supports energy infrastructure projects that will create jobs and generate economic growth in Canada for future generations." 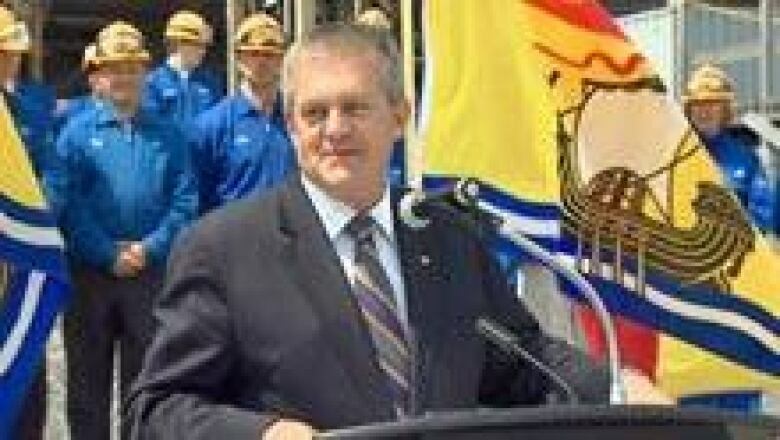 In New Brunswick, Alward said he wants to ensure the pipeline is built to the "highest environmental standards" as it passes through the province. "Our First Nations leaders will be with us every step of the way as we work to maximize the benefits and opportunities for our First Nations communities, while ensuring the highest environmental and safety standards are followed," Alward’s statement said. "This project can and will be done safely or not at all." TransCanada's proposal was not greeted warmly by all groups on Thursday, however. The Council of Canadians issued a statement saying it is launching a national campaign to stop the pipeline project. Andrea Harden-Donahue, the energy campaigner with the Council of Canadians, said the group will be present at open houses held by the company and the National Energy Board's regulatory hearings. "While using an existing pipeline may reduce TransCanada’s costs, it increases spill risks for the many rivers, lakes and communities along the route," Harden-Donahue said in a statement. The project has the possibility of creating 2,000 jobs during the construction phase of the pipeline and a few hundred refining jobs after, according to some estimates from the New Brunswick government. "It's a great opportunity for our skilled workers," said the premier. "Many of them work across the country. We look forward to welcoming them home." Catherine Abreu, energy co-ordinator at the Ecology Action Centre in Nova Scotia, isn't convinced. She contends Maritime refineries do not currently have the capacity to refine the crude oil that would flow from the pipeline, which suggests much of it is meant for export to other countries. "The few jobs created by the pipeline would be short-term," Abreu said in a statement. Those lower prices translate into lower royalties for the provincial government, and that is causing a potential multibillion-dollar deficit in Alberta. A pipeline to the Irving Oil refinery would allow Alberta producers to charge a higher price. The Alberta Petroleum Marketing Association, a Crown corporation, has already pledged to move up to 100,000 barrels a day for 20 years on the proposed TransCanada Corp project. The commitment is worth $5 billion. The New Brunswick government has said it will not subsidize the pipeline.